Aspirin also known as acetylsalicylic acid is a salicylate drug, often used as an analgesic to relieve minor aches and pains, as an antipyretic to reduce fever, and as an anti-inflammatory medication. Aspirin also has an antiplatelet, or "anti-clotting", effect and is used in long-term, low doses to prevent heart attacks, strokes and blood clot formation in people at high risk for developing blood clots. 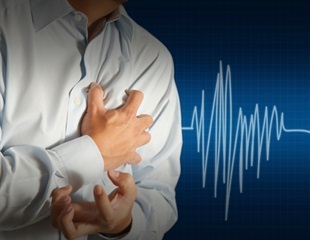 It has also been established that low doses of aspirin may be given immediately after a heart attack to reduce the risk of another heart attack or of the death of cardiac tissue. Alzheimer's disease wreaks emotional havoc on patients, who are robbed of their memories, their dignity, and their lives. The choices we make every day can have a lasting effect on our heart and vascular health. Adopting a heart healthy eating plan, getting more exercise, avoiding tobacco and managing known risk factors are among the key recommendations in the 2019 Primary Prevention of Cardiovascular Disease guideline from the American College of Cardiology and the American Heart Association. Severely ill patients with advanced heart failure who received a novel heart pump—the HeartMate 3 left ventricular assist device— suffered significantly fewer strokes, pump-related blood clots and bleeding episodes after two years, compared with similar patients who received an older, more established pump, according to research presented at the American College of Cardiology's 68th Annual Scientific Session. Today, in a late-breaking featured clinical research session at the American College of Cardiology Scientific Sessions 2018, researchers from Penn Medicine present first-of-its-kind data on the impact of real-time CYP2C19 genotype results when prescribing antiplatelet drugs in the clinic. An international panel of the foremost researchers on infectious disease and antimicrobials has formed new guidelines on the use of polymyxins, a class of antibiotics employed as a last resort to treat deadly, drug-resistant bacteria. Even though fewer heart attacks are occurring in the U.S.--in large part due to the use of medications like statins and a decline in smoking--these events are steadily rising in very young adults. A daily aspirin is a commonly used, generally safe therapy for people who need help preventing heart attacks or stroke. Drugs such as ibuprofen or aspirin that relieve pain and lower fever are among the most frequently used drugs worldwide. They are used above all for the treatment of inflammatory reactions. However, in spite of their indisputable effectiveness and frequent use, we do not yet fully understand the underlying mechanisms of these drugs. Researchers at Yale and at the National Center for Cardiovascular Disease in China just quantified a significant opportunity to improve Chinese heart health: 1 in 10 middle-aged Chinese adults are at high risk for heart disease, yet only about 3% of those at-risk are taking either statins or aspirin, the recommended therapies for managing that risk. The medicinal powers of aspirin, digitalis, and the anti-malarial artemisinin all come from plants. A Salk Institute discovery of a potent neuroprotective and anti-inflammatory chemical in a native California shrub may lead to a treatment for Alzheimer's disease based on a compound found in nature. Colorectal cancer is the third most common cause of cancer deaths in the United States and advanced colorectal polyps are a major risk factor. Patients taking anti-depressant medications classified as selective serotonin reuptake inhibitors are 40 percent more likely to develop severe gastrointestinal bleeding, particularly when they also use common over-the-counter pain relievers, according to a research review in the Journal of the American Osteopathic Association.